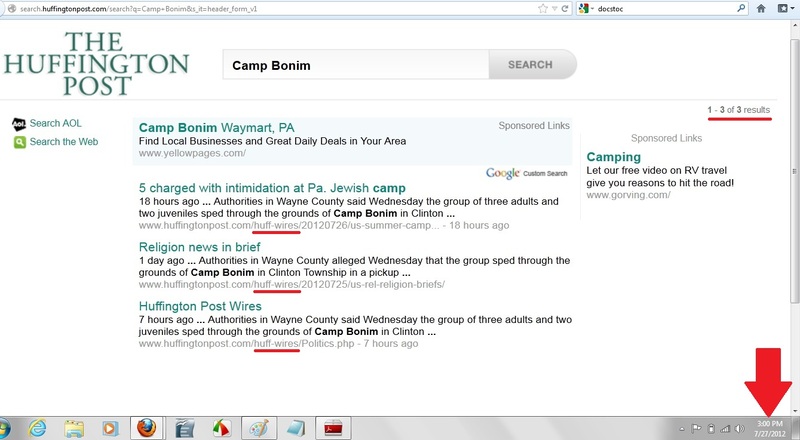 HuffPost completely ignored the story of 5 individuals charged with terrorizing Jewish children at summer camp in Pennsylvania. 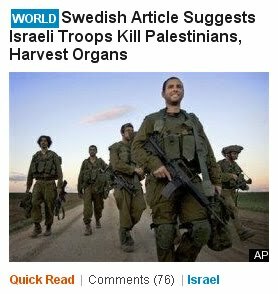 Instead, it chose to run on its front page "news" stories about skimpy women's attire, a nudist retreat, and other nonsense. 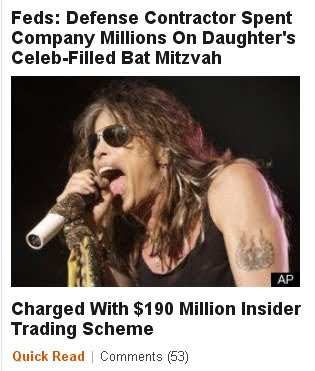 This stands in stark contrast to HuffPost's practice of rushing allegations of wrongdoing by Jews to its front page, even when it knows there is no evidence to support the charges, or it points in another direction. 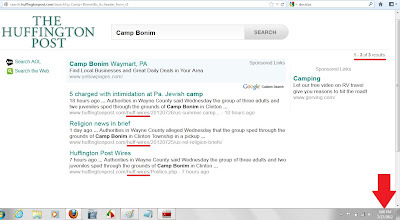 In three separate episodes earlier this month, three adults and two juveniles caused property damage as they sped dangerously through Camp Bonim in Wayne County in a pickup truck, shouting anti-Semitic epithets and firing paintball guns at campers and staff, District Attorney Janine Edwards said in a press release. The three adults were arrested Wednesday morning and face felony and misdemeanor charges, including ethnic intimidation, terroristic threats and assault. 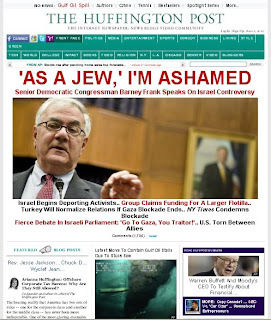 "These children were terrorized and in fear for their lives by the actions of this group," Edwards said in the release. 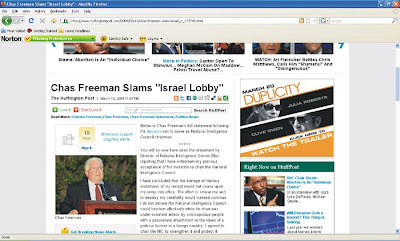 [In one of three separate incidents... after driving into the camp at a high speed and chasing Jews down with their pickup truck]... Police said Mark Trail... yelled racial slurs such as "You f***ing Jews go back where you came from" and "I'm gonna kill you, you f***ing Jews." 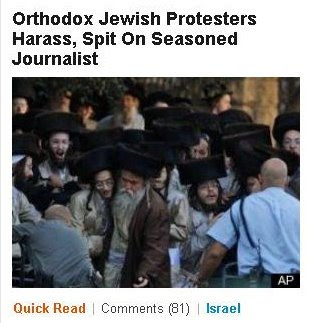 So, did HuffPost rush to publish this shocking story on its front page, as it does whenever Jews or Israelis are accused of wrongdoing? 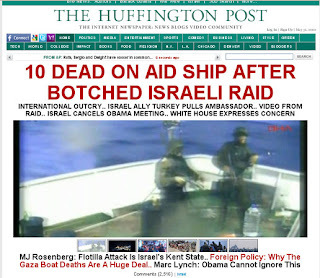 No, HuffPost completely ignored the story --- and we can prove it. 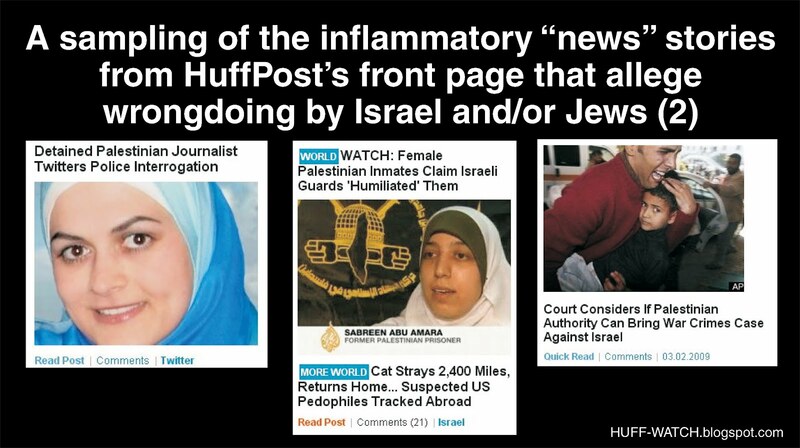 Scroll to the bottom of those pages, and you'll see that there is no option to leave a comment, and there are no user comments --- because HuffPost chose not to publish them. 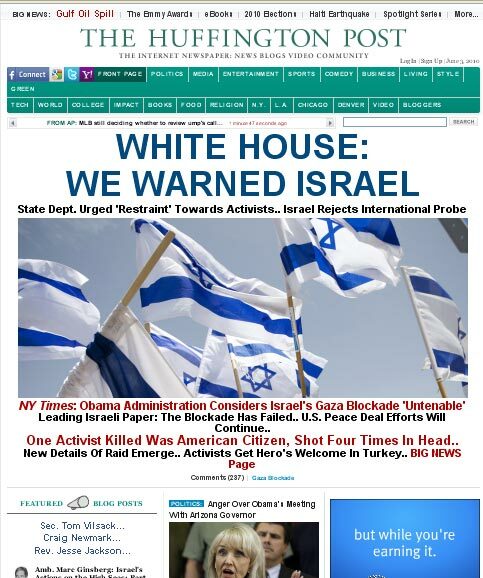 As we documented, this story was a fraud, and HuffPost knew, or had reason to know it. 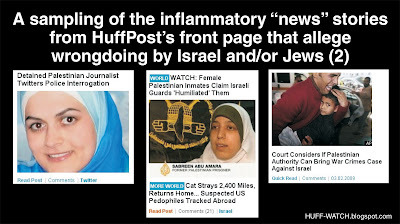 Yet HuffPost published the story on its front page --- even though Arianna claimed she "prohibited... inflammatory claims and conspiracy theories." 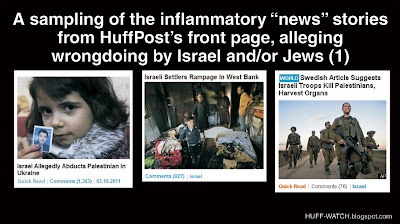 As we documented, HuffPost's allegation was a fraud. Yet it published the story on the front page, anyway. 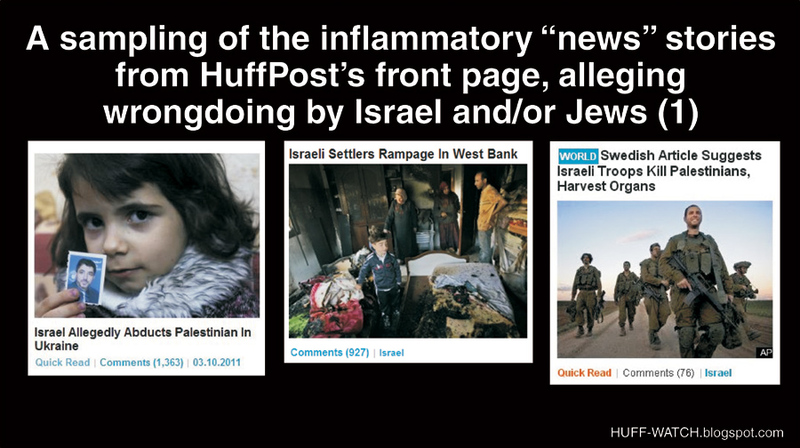 As we documented, HuffPost knew there was no evidence to support any of this "seasoned journalist's" allegations. 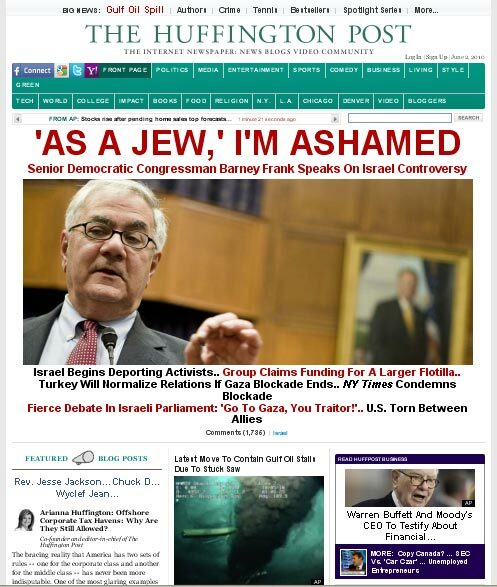 As we documented, HuffPost published this front-page smear against "the Jewish lobby" by a nominee to a national security post --- but included none of the strong bipartisan Congressional opposition to him. 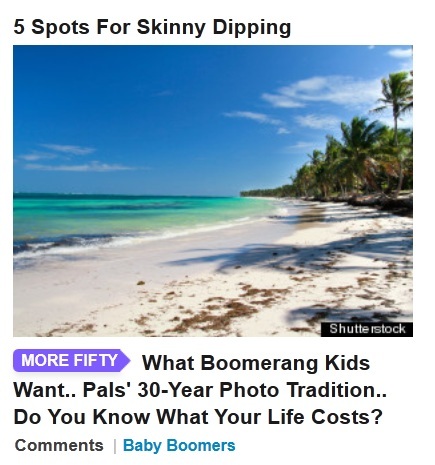 So, what types of "news" stories did HuffPost decide were more worthy of being published on its front page than this one?